Food For Ya Soul is a Djs duet based in Brussels. They sail through many clubs all around the world for the fifteen past years with sets made of House, Hip Hop, and a lot of underground electronic sounds. Party planners, keen selectors and residents on Rinse France and Kiosk Radio, FFYS present you the first Volume of Around The world – Belgium produced by Nowadays Records. 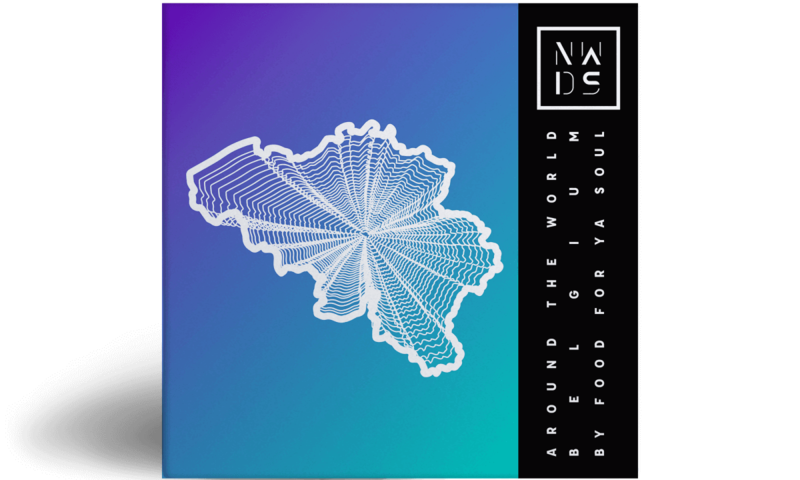 Nowadays Records launches the series « Around The World » with this first opus gathering twelve Belgians producers and orchestrated by Food For Ya Soul. Through this series, the label wants to put the light on countries from all around the world and their music. Each tape will be orchestrated by a local curator in charge of the reflection of the music landscape in his county through the artists (s)he selects. From Vicking Groovy and his UK/Garage influences, the dancing sonorities of Haring (GANGUE), to the Lo-Fi House of PGBAUR (Top Billin Music), and without forgetting the mesmerizing beat of Halibab Matador (producer of YellowStraps) and the conscious rap of the prodigy Moka Boka, get on board for an electronic trip and sail through the musical genders to discover the wealth of an hyperactive scene.